The Association of Film Commissioners International (AFCI) hosted their annual Locations Expo June 15 and 16 at the Los Angeles Convention Center. The go-to show for locations scouts and producers features film commissioners from around the world who exhibit at the trade show, providing a wonderful one-on-one opportunity to explain film incentives in their region. This was a change in venue for the show, which partnered this year with Variety’s BRIC Summit, as well as the Los Angeles Film Festival. 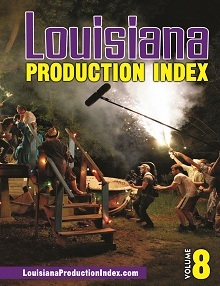 This year, Louisiana was represented by four different booths. The Krewe of New Orleans booth was a collaboration of the film commissions from New Orleans and Jefferson and St. Bernard Parishes. Jefferson Parish Film Commissioner Jennifer Van Vrancken talked about the three percent rebate that is available in her parish. Kristen Maurel of the Baton Rouge Convention and Visitors Bureau was on hand representing the Baton Rouge Film Commission. David Colligan was on hand representing the Lafayette Entertainment Initiative (LEI) booth. “Come to Lafayette,” was Colligan’s pitch. Shreveport Mayor Cedric B. Glover was on hand to greet visitors at the Shreveport-Bossier booth. 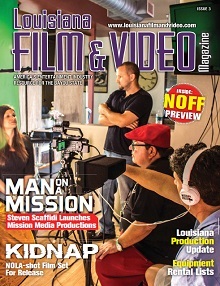 “In the end, it’s all about working together to bring films to Louisiana,” said Van Vrancken.